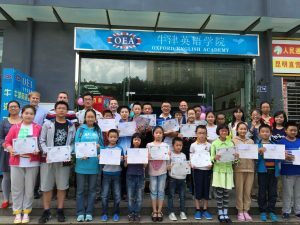 OEA Kunming continues to produce excellent students with excellent results! 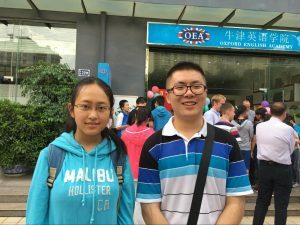 The boy on the right achieved the 17th best University entrance exam result in Yunnan province out of thousands of students. A remarkable achievement which has seen him receive offers from Beijing, Hong Kong, London and Manchester. Well done! He also scored a band 7 in his IELTS test as a result of studying with Oxford English Academy! Congratulations to all those who worked hard to improve their English and developing their skills to attain a higher CEFR level. Students and teachers will be making efforts to upgrade other students’ levels during the new term whilst encouraging those in the photos to aim even higher! Well done to all the great students and teachers at OEA Kunming – keep up the good work!